After being crowned champion of Konami's Enter The Game competition, Eduardo Morillo was given the ultimate prize that has turned every Pro Evolution Soccer fan green with unprecedented envy. 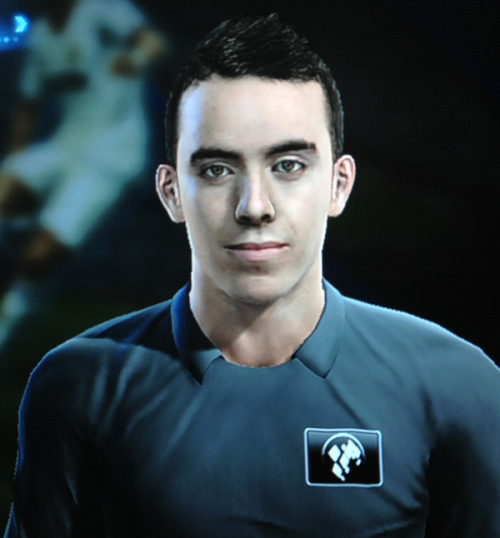 With last week's release of PES 2013's most recent title update, Patch 1.03, the Spaniard became the first-ever Pro Evo fan to have his very own virtual player added into the series. 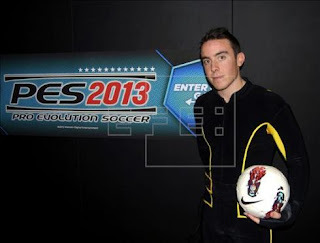 After attending an incredibly unique meet-and-greet at Konami HQ in Tokyo, Morillo participated in mo-cap sessions which allowed the PES Team to implement the Spaniard's unique animations and goal celebrations. He also had a selection of photos taken so that a life-like face scan (right) could also be included. After Eduardo Morillo's magical journey, Kei Masuda - the new Lead Developer of the PES series - has revealed that he hopes more fans will be given the chance to make it into next year's game. "Next year, I hope that instead of one player, there are at least eleven fans, so they can team up and take on the stars." Morillo was also told by the PES Team that they have huge hopes for Pro Evolution Soccer 2014. "We will completely revamp the graphic finish and the result will be spectacular." We first mentioned the new engine back in September, so this isn't exactly ground-breaking news. However, it's crystal clear that this excitement is only going to intensify as we approach the game's final release. Although PES fans, myself included, will have to tread carefully as the next PES hype train begins it's next journey. After the disappointing jump to PES 2008 - the first PES on this current generation of consoles - no one should assume that a new engine automatically guarantees success. However, fans should also remain optimistic, especially after this new, shaken up and well-refreshed team at Winning Eleven Productions, now with Kei Masuda at the helm, were able to provide us with a superb game last Autumn after years of combat since the move away from PS2. And if you still have your doubts, during his visit to Tokyo, Edu Morillo confirmed that Kei Masuda and his team "stayed in the office until midnight every single day" during the Spaniard's trip, "some working on PES 2013 and others on PES 2014". Editor's notes: Seeing as this will probably my final post of 2012, I'd like to take this opportunity to thank every single one of you for your tremendous support you've shown over the last 12 months. We'll back next week where we'll try to break new records as we begin our journey towards the release of PES 2014.